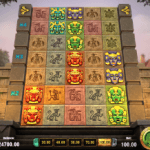 This article will give you additional information on the mechanics of the slots and help select a certain slot if a player has a couple of dollars to spend, desire to enjoy and try own luck winning some quick money. What are the slot’s volatility and dispersion? When is it better to select the low volatility games? When is it better to select the high volatility games? We strongly advise you to read our article attentively. For the gamblers, the leading developers're Microgaming and NetEnt. There is one reason for this – their RTP rates are more than the ones of Novomatic and Playtech companies. In all the slots by Microgaming and NetEnt, the rate's rarely lower than 96%, the slots by Playtech or Novomatic usually have about 94%. The chances to win in slot games are called the “Return to Player” rate by the game developers or just the RTP. It works as follows: the RTP you expect is 95%. It might be called the gambling establishment advantage, which totals 5%. The words mean the same but vice versa. The first denotes the return for the player will total 95% of all the bets made. The second means the casino has 5% from every bet made. Look at our example: during a long session, the game has to return 0.95 of a credit value (or of every dollar) of all bets altogether. Surely, if everything is the same simple as in the example, it won’t be a game in the casino with an opportunity to win or lose the money, but just a 5% payment for every spin. That’s why the RTP rate created by the game developers becomes perfect only with many spins and keeps changing, getting higher/lower. For instance, when a player wins $1.9 with $1 bet he/she takes not just that 95%, which is mathematically planned, but also 95% of the other gambler. To explain it easily, we can say, the casino will take 5 cents for every dollar betted in the slot games in the entire massive of bets. Sometimes the slots bring generous winnings and the casino loses, but then it returns the money during the other session by means of its mathematics. If you think it over, it’ll become clear that it’s required playing only slots with the high return rates. All the games with the RTP higher than 95% are appropriate for gambling. The ones with 96 - 98% are much better, while the ones with less than 90% are rubbish, which is not worth any attention. However, if the RTP rate is very high, it does not necessarily mean that the slot will bring you plenty of winnings all the time. The dispersion’s also essential here. The slot having 97% return rate and low dispersion will bring you small winnings quite often. At the same time, the games with 94% return rate and high dispersion can leave you without winning for quite a long time, but then it’ll bring a generous winning as a reward for your efforts. The dispersion and volatility (Variance in Slot Machines) are equal terms. They denote how risky the game is. The dispersion influences the risks the slot possesses. If the dispersion’s high, the game’s risky, while the low one tells, the slot has a minimal risk of losses. Very few casino software developers publish such kind of data. Sometimes it’s accessible, but much more often, it’s covered. Depending on the kind of a gambler and his or her character, the favorable slots can vary. There‘s no correct answer to a question, which games are better. Once you might like a new game, while its dispersion can turn to be opposite to your expectations. To understand whether the game’s exciting for you or not, you’ll require pushing a SPIN button for plenty of times. The main aim of the low volatility games is entertainment. They usually bring small payments and are decorated with stars or other bright elements. However, they cannot give you any chance of a big winning (such as x400 or higher). 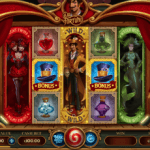 a gambler needs many bonuses and various game features. Surely, not all the low-volatility games bring small payments. There are games with progressive jackpots and features, which are able to multiply the bet by 80 - 100. The games with the low dispersion have low risks because your balance for the game will be long-playing, and you can once leave the game with a winning, which will total 20% of the initial balance. For the gamblers, who are searching for the entertainment, and for the beginners, we recommend the low dispersion games. The high volatility games bring generous payments. 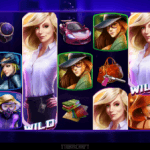 Here you can face the moments, when there are successful combinations and many wild symbols or a large factor, free spins with stacked wilds or even the instant winnings with the enormous inscription “BIG WIN!”. You will definitely start jumping with joy! However, be careful! Such slots're very risky! a player is ready to spend time waiting for bonus rounds, and keep in mind that they’ll finally appear and he/she will become the luckiest son of a b*tch. Undoubtedly, selecting the high volatility games will allow finally leaving it either with no money or with the money enormously increased. The strategy for such slot games is to have a bet reserve (150 - 300 bets). It means if you have $300 on the deposit, the bet mustn’t exceed $1 - 1.5. First of all, if you see a phrase “Win millions of coins” or something like that in the game, it means that it has at least the medium dispersion or the high one (which is more likely). The higher the maximum payment is, the more chances the slot will make you angry and take your money you have (before you’ll be able to finally get something considerable). The second important thing is to define the difference between the combinations of four and five symbols. If it varies from 3 to 5 times; it means the slot’s more likely to have the low volatility. If the difference is 10-15 times, the slot definitely has the high volatility.  We recommend you to select the games with the lowest RTP of 96%.